Now, after a long silence, I’m finally back for more posts and galleries, since I haven’t been idle at all! Which brings me to my issue of today: CSD, as far as I know it is about visibility and acceptance. Then how come that I felt like an intruder amidst all the gays, lesbians, and trans people? As somebody in between, I felt fake, like I was pretending to be lesbian. It’s probably because we were regarded as such, people gave us (my friend and me) flyers for lesbian groups etc. 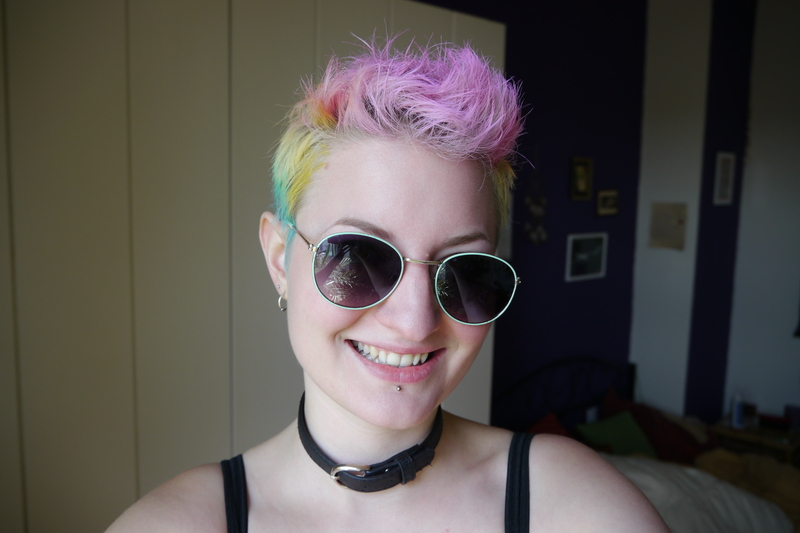 Probably only a small fraction knew what my hair colours meant. 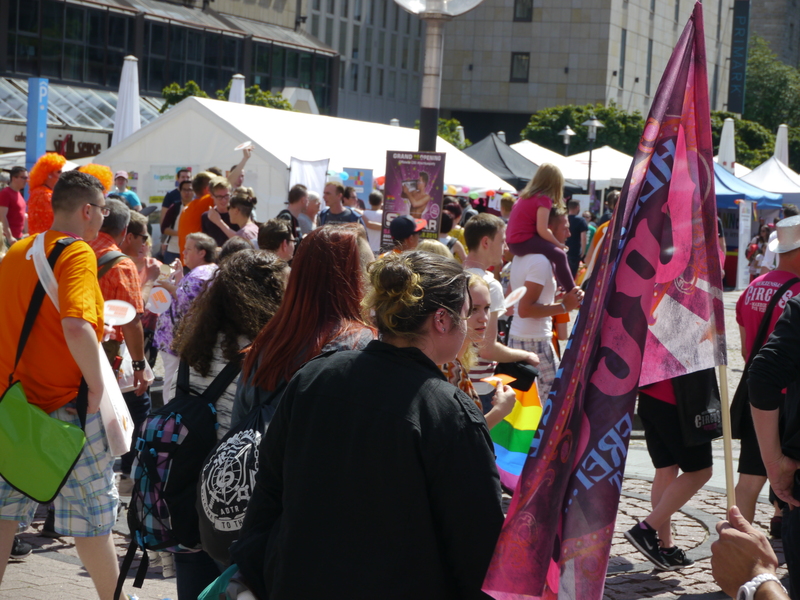 There was nothing addressing pansexuality at all, or queerness in general, except for one stall of the local university’s queer group (not gay-and-lesbian group). And that, to me, is a problem. Everybody knows about homosexuality. Where is the visibility of everything else? We need more visibility, so that everybody can just be comfortable with their own sexuality without thinking you had to choose a label. It’s pretty much the same for bisexuals, as far as I know – they often don’t feel excepted by neither the LGBT nor the heterossexuals. The community is all about feeling connected and together, yet I feel that once you identify as gay or lesbian, there are so many connections, support groups, education – a room. Whereas as queer person there’s no community, no special room. Now don’t get me wrong – there are many happy queer youtubers and stuff like that. It’s just the local area that’s bothering me. Even in my local youth support organisation it’s all about gays or lesbians – nothing for ”queers”. I’d feel uncomfortable for being attracted to guys there, because I’d feel fake again. 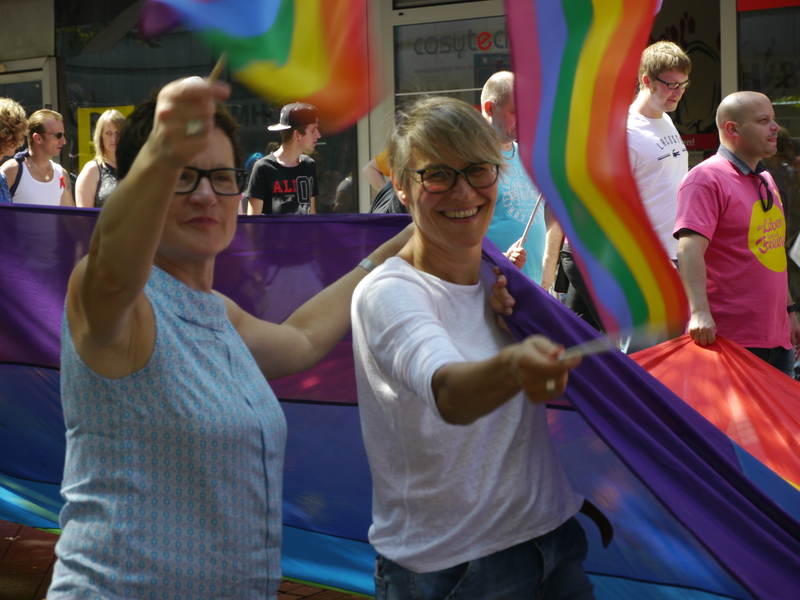 This entry was posted in THE PARTS - Updates and New Stuff., THE WHOLE - Philosophy and Spirituality., Uncategorized and tagged bisexuality, Christopher-Street-Day, community, csd, CSD 2015, CSD Essen, gay, gender, heterosexuality, homosexuality, lesbian, lgbt, pansexuality, queer, queerness, RuhrCSD. Bookmark the permalink.